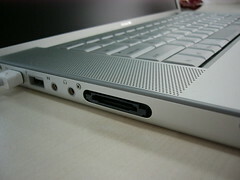 This makes perfect use of the ExpressCard slot in your Mac which mostly is left unused. This makes one step for Creative to move into the world of Macs. For long Creative’s products were either irrelevant to Macs or not compatible (mp3 players). Their products have been more towards the PC. This is a clear indication that Creative listens to your feedback; and continues to innovate and are dead serious about their Audio solutions. I suspect more Creative products to work with Macs and more wireless solutions. Talking about tweets too, Ryan Schlieper is excited about the revamp of SoundBlaster website.